Which Essential Oils Are Safe For Kids? Heather Dessinger 131 Comments This post contains affiliate links. If you’ve tried to answer that question by researching online lately, you know that there is a ton of conflicting information out there. Some say EVERYTHING is safe, some say virtually NOTHING is safe. What’s a mama to do? A couple of years ago, I decided to get over my sticker shock and try to answer that question for myself. I purchased a copy of Essential Oil Safety, which was written by world renowned essential oil expert Robert Tisserand and his co-author, Rodney Young. Considered the most evidence-based resource available, Essential Oil Safety took 10+ years to write and contains over 4000 citations. 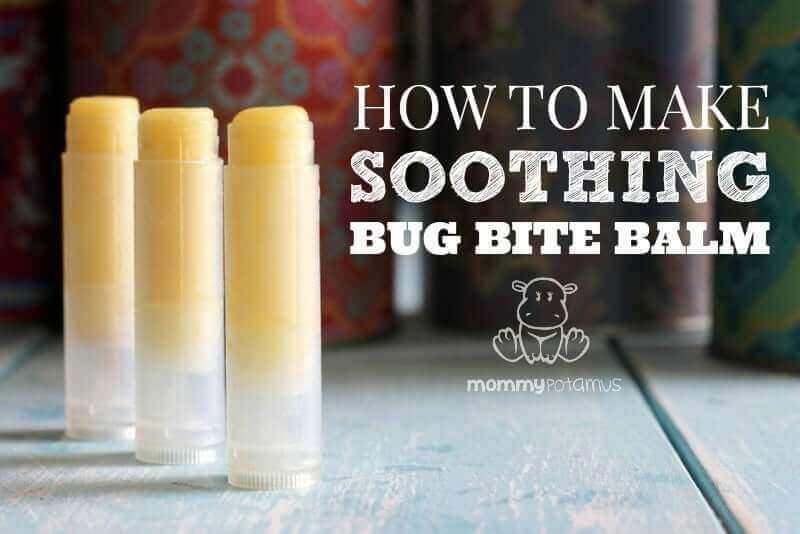 Safety is my top priority, so whether it’s this bug bite balm, this “breathe easy” vapor rub, or another natural remedy or beauty recipe, I always consult Essential Oil Safety while creating products for my family and yours. Of course, there are a lot of essential oil uses I haven’t covered (yet!) here, so I thought I’d put together a handy-dandy guide of how and when and when NOT to use essential oils with children that’s based on Tisserand’s work. You’ll find that the oils mentioned are linked to a brand I love for its quality, commitment to providing safe usage instructions, and pricing – Plant Therapy. However, I also use and love Vibrant Blue Oils, and there are other good brands out there as well. This is not a definitive list. However, it does include many oils that are commonly available. I’ve listed some of the properties of each oil alongside their name, including properties associated with topical application. I think it’s valuable information to have, but I still typically favor hydrosols and diffusion rather than direct application for children under two. Blue tansy (Tanacetum annuum) -Also called Moroccan blue chamomile, this oil has skin soothing properties. It may also promote feelings of being clear-headed when pollen counts are high. Catnip (Nepeta cataria) – Relaxing. Supports restful sleep. Also very useful in homemade bug spray. Cedarwood Atlantica (Cedrus atlantica) – Calming, smells amazing in this Wild Vanilla No. 2 Solid Perfume Recipe. Skin soothing. Cedarwood Virginian (Juniperus virginiana) – Lovely woodsy scent, relaxing and beneficial for skin. It’s also one of the recommended oils in my children’s vapor rub. Citronella (Cymbopogon winterianus) – Great addition to homemade bug spray. Can also be used to make outdoor citronella candles. Clary sage (Salvia sclarea) – Helpful for relaxation and restful sleep. Copaiba balsam (Copaifera officinalis) – Supports healthy respiratory function and soothes achy muscles. Coriander (Coriandrum sativum) – Soothes upset tummy’s and calms emotions. 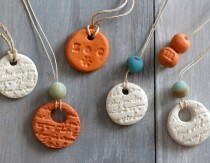 Cypress (Cupressus sempervirens) – Supports healthy respiratory function. Thought to have an emotionally grounding effect during challenging experiences. Fragonia (Agonis fragrans) – Smells a lot like eucalyptus and supports healthy respiratory function. Works well in homemade vapor rub. Helichrysum italicum (Helichrysum italicum) – Considered one of the top oils for promoting youthful skin, helpful for scars, and supportive of the immune system. Rare and somewhat expensive. Helichrysum splendidum (Helichrysum splendidum) – Considered beneficial for skin, but not as much as Helichrysum italicum. Supports healthy respiratory function. Marjoram/Sweet (Origanum majorana) – Relaxing, helpful for sleep. Neroli (Citrus x aurantium var.amara) – Often used in skincare products due to it’s ability to promote beautiful skin. Thought to be helpful for easing emotional tension. Patchouli (Pogostemon Cablin) – Thought to promote the appearance of youthful skin. Great addition to men’s personal care products, like homemade deodorant or body wash.
Petitgrain (Citrus x aurantium) – Thought to be beneficial for skin, especially oily skin. Spruce/Hemlock (Tsuga canadensis) – Supports healthy respiratory function. Tea tree (Melaleuca alternifolia) – Immune support, helpful for cuts and scrapes. Also considered helpful for acne-prone skin. Vanilla CO2 extract (Vanilla planfolia) – Smells amazing in this vanilla body spray recipe, which I spritz on my kids hair after they bathe. Vetiver (Vetiveria zizanoides) – Relaxing and emotionally grounding. 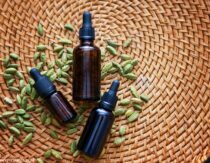 Wonderful in this homemade beard oil recipe. Lemongrass (Cymbopogon flexuosus) – Clean citrus scent. Great addition to homemade bug spray. Ylang ylang (Cananga odorata) – Relaxing. Helpful when you’re in de-stress mode. There’s been a lot of controvery about whether or not eucalyptus – which contains a constituent called 1.8 cineole – is safe for use with children. Too much can sometimes act negatively on the temperature receptors of children’s lungs and cause slowed breathing, so it’s often avoided. However, for children under three, Robert Tisserand says that eucalyptus globula and radiata can be diffused (1-2 drops) and applied topically at a concentration of 0.5% (2 drops in 4 teaspoons carrier oil). “I believe these guidelines are super-safe, if anything a little over-cautious. If you’re wondering about other types of eucalyptus oil, E. citriodora is safe for young kids, though is less likely to be therapeutic, and the safety of E. dives is uncertain,” he wrote on his Facebook page. All the oils listed above are considered appropriate for children ages two to six. The difference in this category is that many of the oils designated previously designated as “for diffusing only,” . . . .
Another favorite for respiratory support is peppermint, which also contains the consitituent (1.8, cineole) that sometimes acts negatively on the temperature receptors of children’s lungs and causes slowed breathing. According to Robert Tisserand, peppermint can be diffused with care around 3-6 year olds and applied topically at a concentration of 0.5% (2 drops in 4 teaspoons carrier oil). In the comment section of the above post, he clarified that “with care” means about two drops in the diffuser. For eucalyptus, he recommends a 1% maximum dilution of eucalyptus globula or radiata (4 drops in 4 teaspoons carrier oil) for children ages three to six. Rosemary (Rosmarinus officinalis) is also considered appropriate after age six. I’m not sure I have ever gotten around to sharing this, but I just wanted to say thank you for advocating for safe practices with essential oils. Part of the reason I have continued to read your blog was your open and honest change from the MLM essential oil company you began with to a company with more responsible advertising. It is a rare thing indeed to find someone who is so diligent and honest in their research. Thanks so much and keep up the good work!!! What a great post. So much information out there that it can get confusing. Thanks for simplifying . Thank you so much for taking the time to compile the information in the article and all of the research involved. We, too, appreciate the health benefits of essential oils and the ability to address health concerns naturally. I am very interested in the printable list, but when I sign up for the newsletter and click on the link for the printable, I receive a “not found, 404” message. Any advice? Thanks for a great list! I think there may be a typo on the dilution for pink grapefruit oil though. I’ll be printing this for sure! I have a nine month old with severe eczema and wanted to make a blend of almond oil (carrier oil) with chamomile and lavender. What is the appropriate ratio for a kid his age? Thank you! Hi Diane, you may find this post on diluting essential oils helpful. I tried signing up for the Free Guide to Safe Essential Oils, but it said that the link had been taken down already. Is there a possibility for me to get it another way? Is oil of oregano considered an essential oil? Is it safe to use for children? Thank you. Oregano oil is an emmenagogue, which means it can induce menstration….definitely not something you want while pregnant. I wouldn’t worry about eating lasagna with a bit of whole oregano, but I strongly advise against the use (topically or internally) of oregano oil, even diluted oregano oil during pregnancy. If you aren’t pregnant it is great for skin infections and skin growths, but if you are pregnant steer clear. I tend to steer clear of this one for little ones as well as even diluted it has a tendency to burn and sometimes peel. I used it through out pregnancy heavily and it helped me avoid antibiotics for a uti and I was able to avoid antibiotics and seeing a dentist for a bad cavity. It was important to me ton try to avoid an x-ray if possible while pregnant. How much oil of oregano did you use during pregnancy? Should oil of oregano also be avoided while breastfeeding? Thanks! Are you talking about Oil of Oregano that is sold as a supplement or the actual Oregano Oil essential oil? Oil of Oregano is different that Oregano essential oil. Oil of Oregano is an oil infused with the part of the Oregano plant. Oregano essential oil is the oil solely from the plant and much stronger and concentrated. Some consider oregano to be an abortifacient herb as it can induce menstruation. Limited to moderate use in pregnancy is advised. As always check with a certified herbalist and your doctor when using any questionable herb in any form. What about oils that are calming for use when pregnant? DIL usually takes meds for adhd, but can’t while pregnant and needs something to help her! Anything I’ve ever been able to find on this days No. One section says Oils that are safe under two and the other section below says essential oils safe under two. Is that all one list? I’m a bit confused. 2. 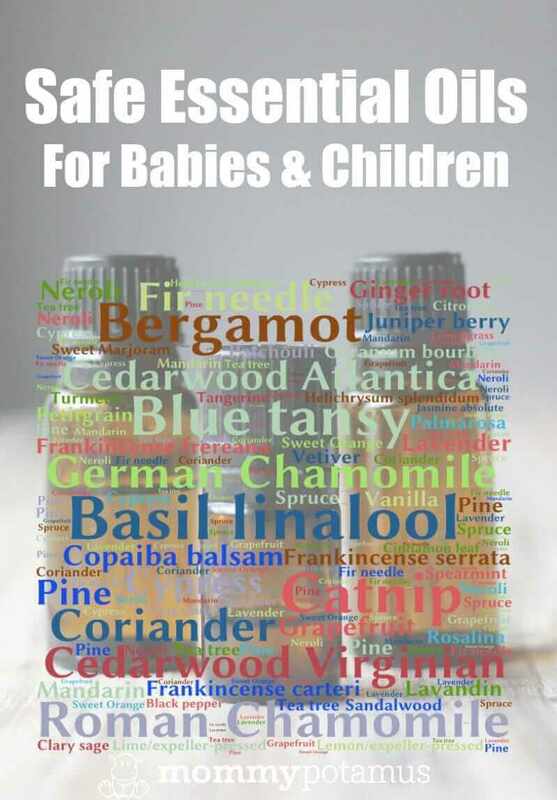 Essential oils that are only considered safe for diffusing (not topical application) for children 2 and under. Hi I am also confused about this. Surely all of the oils in list one should be in list 2 also? With the addition of three that are not appropriate for topical application? Or are you saying none of the essential oils in list one are considered safe for diffusing ? Perhaps I could phrase my question better. I want to diffuse oils in my home and I have a 2 month old baby…. which list should I look at? List one or list 2? List one and two are both considered appropriate for diffusing around children under two. List two is not considered appropriate for topical application. Hope that helps! How do we get the printable guide please? I’m already on your newsletter list. Looking for the download of the essential oil safety list. You did do an awesome job in writing all this down!! If I can only make a suggestion for the future to also write if they can be taken pure or diluted. Is balsam fir needle oil safe to diffuse for young children in place of other fir needle oils? I have used diluted peppermint oil on my children’s feet during a fever to bring down the temp and help them rest. Would you say to avoid this for a child under two? What’s listed as Spruce essential oil (Tsuga canadensis) either has the incorrect latin name or the incorrect common name. Tsuga canadensis is Eastern Hemlock. Spruce’s latin name would begin with Picea. Most of the coniferous trees have similar medicinal properties, so it might not matter anyway. Do you have any info on Spikenard Oil? Thanks! Can I give my 2+ year old and my 4 year old oregano oil to heal a bacterial infection? 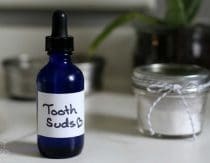 I am new to EO, my children 2 and 4 have been sick with runny noses and coughs for almost 2 months now and after trying antibiotics and other medications I have decided to try a natural way of ridding my home of germs. I have heard alot about eucalyptus and thieves oil helping to boost the immune system and get rid of germs. I am just wondering if you have any other EO suggestions that may be better for this age group and if eucalyptus and thieves oil is safe to diffuse around mt children. Hi Heather, Thieves oil is great to diffuse around children. You can also use Myrtle oil which is very gentle. Eucalyptus is great to apply diluted on the feet. Thank you for the useful information. Is there a safe recipe that could help my 8 months old baby with teething? First, I diffuse a variety of essential oil blends without diluting them, but I always wait until my kids go to bed before I do so. (They are diffused downstairs and the kids are upstairs with doors closed). Do you think I need to be more wary about what in particular I am diffusing even though the kids are in different rooms? I use one of those vibrating diffusers which seems very powerful. Second, do you know if oregano oil is safe for kids? My youngest has a number of GI issues and we suspect he is suffering acutely from SIBO. A study by John’s Hopkins recommends a variety of herbals as being equally successful to antibiotics, but I am concerned about using them on my 1.5 year old. I use 100% pure peppermint essential oil in my humidifier/defuser 3 drops for my headaches/migraines. My question is is this safe with my 1 &2 year old running around the house? If I’m remembering correctly I stopped taking neem when I read warnings about taking it while nursing. Is neem oil safe for a 14 month old on skin? I believe you are better off using Frankincense oil or Lavender oil diluted in a carrier oil and applied directly to the effected area several times a day. Good luck! Hi! I want to use your natural home cleaner of water, lavender and rosemary. I have a 16 month old and rosemary is not on the safe list to use around toddlers. Can I use this to clean our home? I am also curious about if diffusing while children are in another room, and the diffuser is turned off before they enter the room(such as while they are sleeping). I currently have a cold and diffused a blend I bought from the natural food store. It contains eucalyptus, rosemary, peppermint, and hyssop oils. My son is 6 years old and every winter gets horrible cold with a cough and runny nose that lasts for weeks at a time. I do not want to continue using cold medicine and would like to try more natural things to help. I was thinking about using a diffuser with essential oils at night (this seems to be when his cough bothers him the most and does interfere with his sleeping). Was wondering what I could use and most of the diffusers say to dilute in water. Will that be acceptable as a carrier oil or what can I use in a diffuser to act as a carrier oil. Thanks! I saw this post and although it’s a bit old I’d thought I’d reply as I have had the same issue with our kids, especially my daughter whos 9. It turned out that the dry air was the problem which made the coughing worse. The tiny little diffuser in the room just wasn’t enough so I bought a large humidifier and continued to diffuse eucalyptus and peppermint in the little diffuser at night in her room (hint: don’t spend a fortune on a diffuser for kids room, Walmart sells these little “personal humidifiers” for about $20.00 or less. They are ultrasonic like any other diffuser and hold a little bit of water and perfect for a few drops of oil, and it works just like any other ultrasonic diffuser. I also mixed about 4 drops of eucalyptus into a tbsp of warm coconut oil and used it on her chest and feet. That seemed to really help. Another trick is to simply put a couple drops of eucalyptus onto a cotton ball and put inside pillow case. Hope this helps someone. I would like the printable guide for using essential oils for children. Hey Sarah, when you sign up for the newsletter using the form above you’ll immediately be taken to a page where you can download it by pressing the “Download Now” button. I would like a printable list. I would like the printable list please. 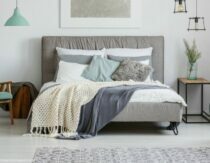 Would like a printable list please. Would also live the printable list? I would like the printable copy, please. Do you still get this when you sign up for the newsletter? I don’t see it. Thanks! I have an almost 3 month old daughter who Has trouble staying asleep. I just purchased a diffuser and plant therapy lavender. I plan on only diffusing and not using topically. Are there any precautions I should be aware of? Thank you in advance! Great post Heather! thank you so much for sharing this. Please send me the list. Thanks! THAnk you for this download. I make A lot of your DYI recipes. I use peppermint in mine cleaner. I have three kids under four so i wonder if its safe to use? I use it to repel bugs. What else could i use of it’s not safe? My 15 month old is always congested…. I purchased eucalyptus oil and a breathe easy oil blend. Welll I diffused and while diffusing my baby seemed to be bothered and her congestion wasn’t improving like I thought it would so I started to research and found your blog and others that suggest not using certain essential oils….. Will she be ok??? What’s best for relieving congestion in a 15 month old? We take our daughter to a hot and humid bathroom for 20 mins. Close the bathroom door, stop/seal the exhaust, start the shower and let it flow for few minutes. The bathroom will be slightly earm and steamy. This helps a lot. Would love the printable list, thanks. Printable list would be amazing! also… do you know if Siberian Fir is safe for babies? I’ve read it’s great for teething but can’t seem to find any info on its safety in infant use. Please could I have access to the printable list of safe essential oils for children and the dilution ratios. How do I work out percentages in terms of drops of essential oils? Do you have a recipe for preventing otitis ? What volume of tea tree oil per carrier oil would be safe to apply for a 10 week old baby and is it suitable for the face? Many thanks. I tried to sign up for printable list but it’s giving me an error. Is there any way I can be manually signed up and sent the list? thank you!! Hi, I’ve been looking into rubbing essential oils as a prophylactic measure for my little girls (1&4), this list is very helpful. Can you please send me the full pdf? Thanks! Great article, thank you! I’d love to have a copy of the EO list too! Thanks for such great researched info. I would love to see a list like that for dogs, as well. I have a Bomb Sniffer K-9 (GSD) and have found he is more sensitive to EO’s than any of my nieces or nephews! Luckily, he picks out for me what he likes and separates those he doesn’t like (his favorites are Lavender and Eucalyptus). One note, I have read that Diffusing is as or sometimes more effective than topical application (minus using it on ones feet) so I highly recommend using a Carrier Oil for diffusing as well. I have no choice with my puppy dog around. Also, I love all of your info you have on your website and I don’t have children of my own but find it very applicable in my own path to a healthier life. Thank you so much for your generosity in providing this to your readers. Hi! Thank you for this post!! I’d like to know if the Soft Skin blend by Plant Therapy (I found out about this blend in your skin serum recipe to mix with rosehip oil) is safe for pregnant women and for children. I looked up each of the E.O.s in it (lavender, frankincense serrata, lemon, petitgrain, coriander, tumeric, rose absolute) in this post but I don’t see anything about Rose absolute and I wasn’t sure if the tumeric is the same as the one listed above. Good job! I would like the printable list. Thank you. Hi Sandi, you can access the printable list by filling out the form in the post. As soon as you enter your email address you will see a link to download it. Hi. I would like a copy please. Hi Deanna, when you complete the signup form for my newsletter you’ll immediately be taken to a page with an orange button that says “Download Guide.” That’s where you’ll find it. Would like a guide for the oils that are safe for children. Thanks! Hi Mimi, when you sign up for my newsletter using the form above you’ll immediately be taken to a page with an orange button that will allow you to download the list. Hi – I love diffusing oils and usually order from Eden’s garden. We now have a 6 month old and I’ve been so hesitant to use oils since he was born. Your post has lots of information and I’m so thankful. I plan on checking out that book you mentioned but appreciate you compiling a list for us busy moms! I do wonder what oils you would recommend for baby allergies? Our son sleeps fine the first part of the night but ends up starting to cough and starts sounding stuffy and sometimes wakes himself up coughing. Any suggestions on safe oils to diffuse that could help? Thank you. Wow, Heather! Where do I begin? I want to thank you for posting this, it’s such essential information 😉 I think I occasionally heard about Plant Therapy oils, but they were disregarded because of the doTerra and YL ones being considered better and safer. But I will do my research and see if these Plant Therapy oils are not deserving a try. Maybe they are really great, and I say the company thought about the parents forever dilemma of using oils on kids, and created a set of blends designed especially for kids! I’ll have to see if they are available around my area (I live in Europe, Romania), and if they are on the market I think I’m going to give them a try. At least buy some of them and see how they go. I really want to try wild orange and compare it with doTerra wild orange oil. I am not a doTerra health advocate, but I have some of their oils. Thank you once again for this article full of precious information, I’m only starting with essential oils and I’m digging for more relevant infos about them. PS. The Vibrant Blue Oils seem really interesting to look into, especially those emotional blends. thank you for the information – I was wondering why cinnamon bark is not safe? how about kava essential oil?